New Classic Tornado by Tack & Gybe with automatic movement released! Since the introduction in 1998 of the Tornado with quartz movement, it took the Dutch Tack & Gybe 17 years to complete their research and testing to develop the new Classic Tornado with a unique automatic movement. Dutch design with Swiss made perfection! The Classic Tornado is the flagship of a new series of 15 models in total divided in a ‘Classic’ and a ‘Sports’ range (which you will find here), and became available per October 2015. 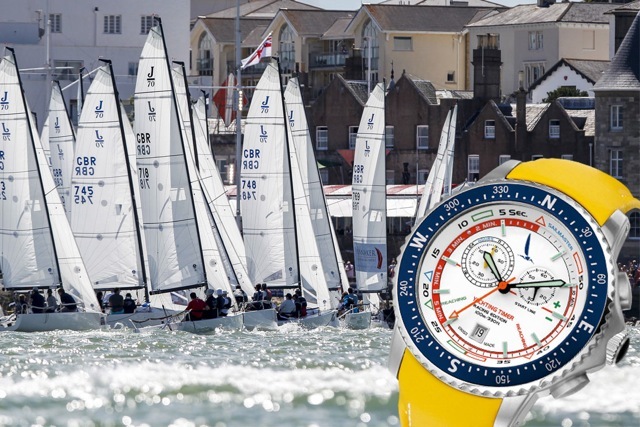 And now the brand announced to be supporting sponsor and the official Timing Partner for the 2017 and 2018 editions of the Cowes Week, as well as sponsor and official Timekeeper for the third edition of the Ibiza Regatta Gold Cup 2017! Read all about Tack & Gybe, the new Classic Tornado and some special editions in de brand list here.